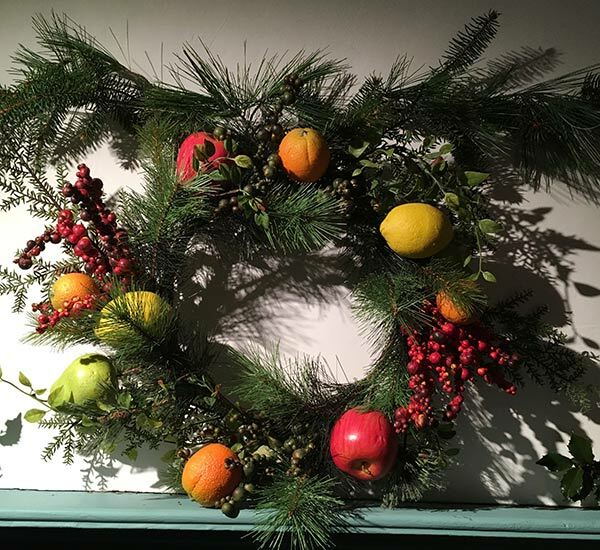 November 30th brought the month to a close and opened the winter holidays. 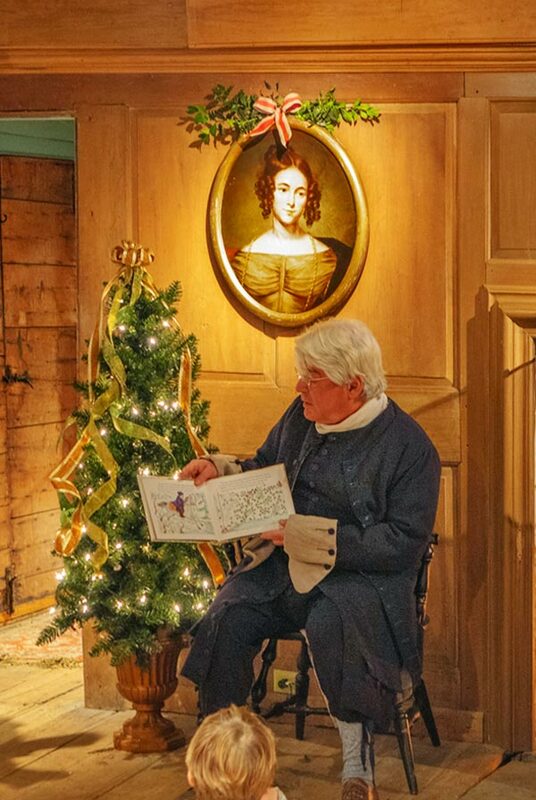 To celebrate the start of the festivities, the Deacon’s family had decorated their homestead. 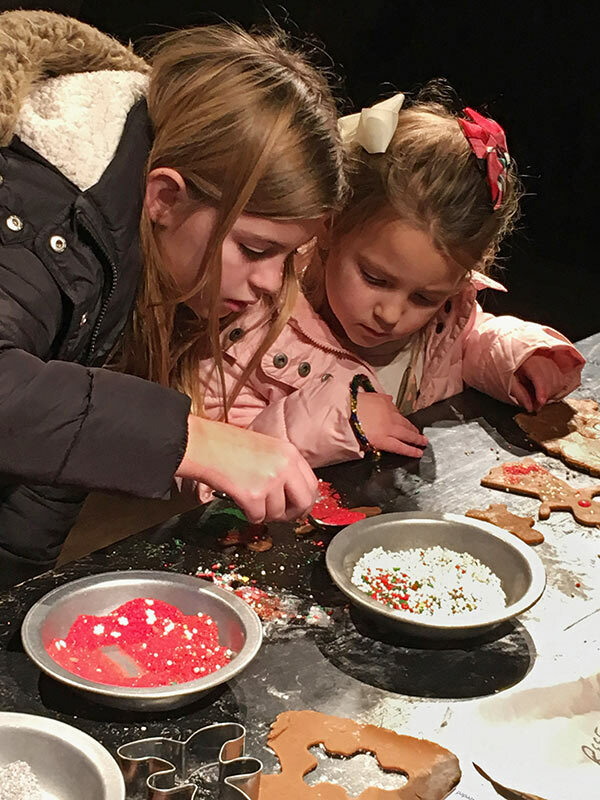 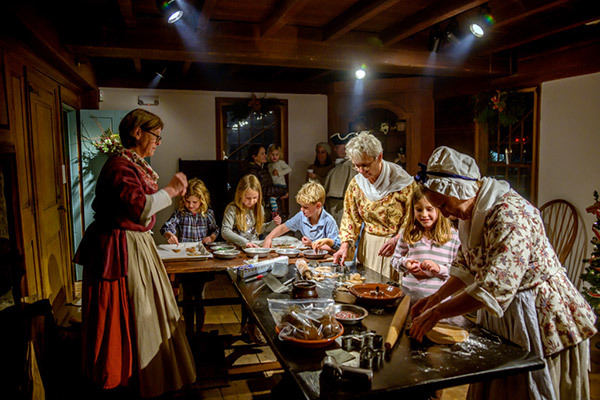 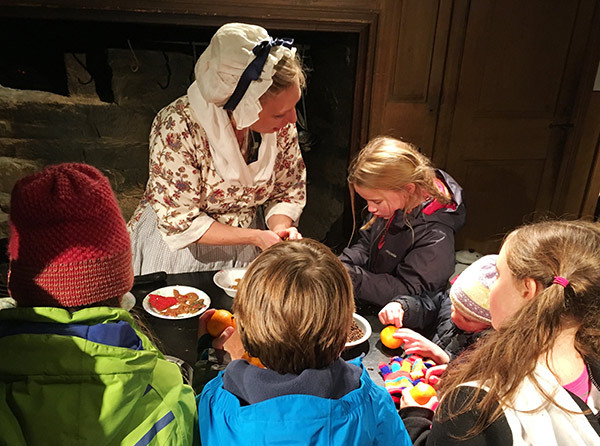 Guests were welcomed into the kitchen for cookie baking at the “Children’s Holiday”. 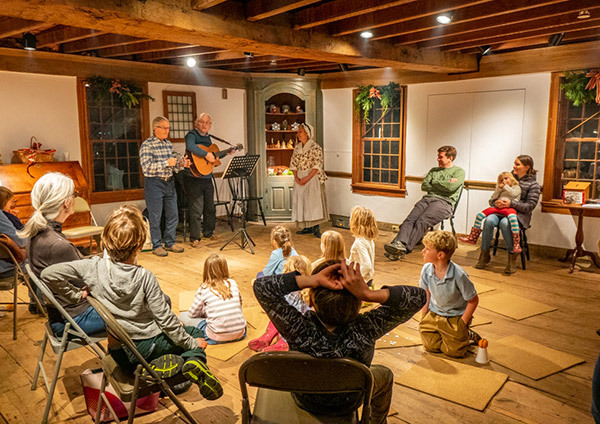 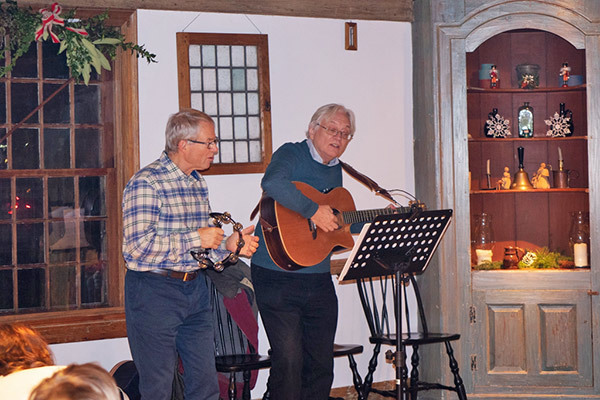 With cookies in the oven, families retired to the main room, where the fireplace was all aglow and guests could listen to stories and enjoy seasonal music. 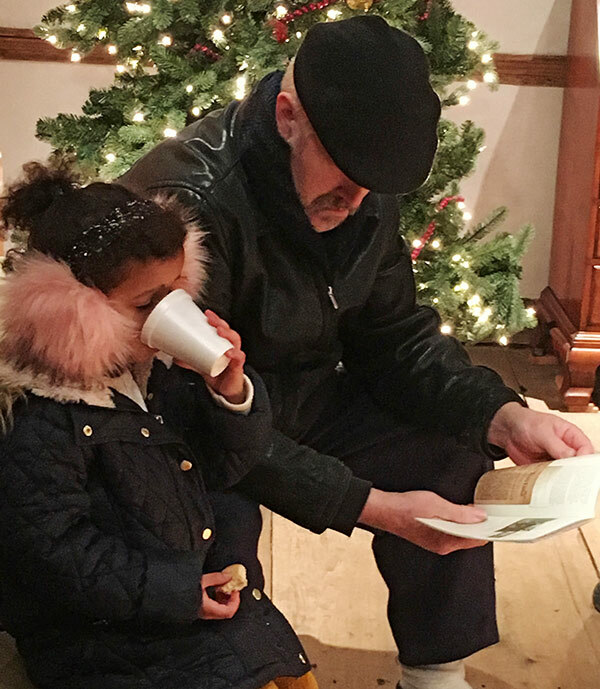 After songs were sung, tales told, and cookies baked, visitors headed for the town green and the annual tree-lighting. 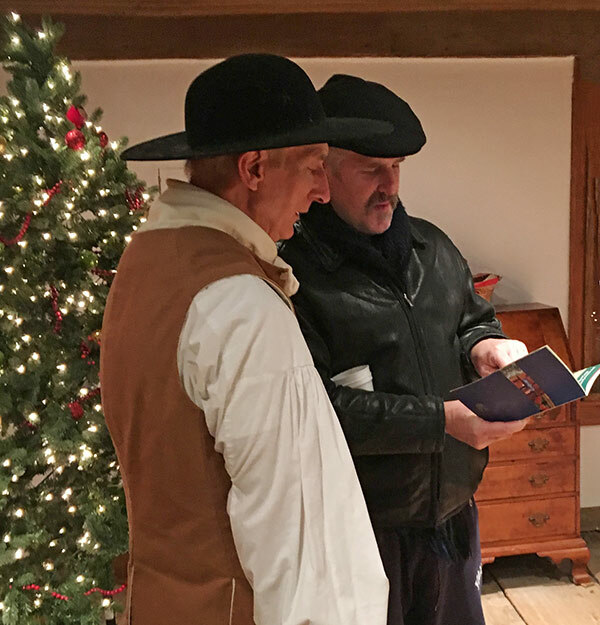 Although the weather proved balmier than most for a late November evening, crowds gladly returned to the Deacon’s house after enjoying the traditional tree-lighting on the Green. 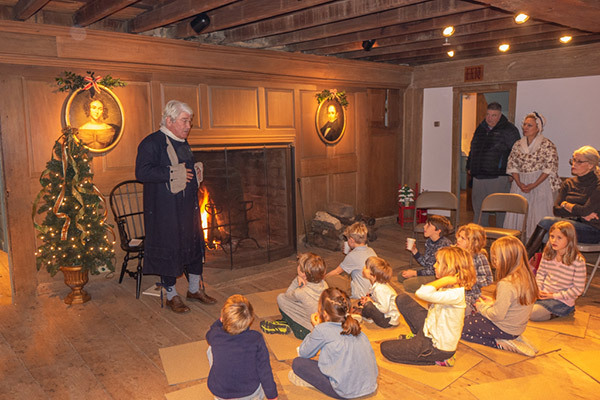 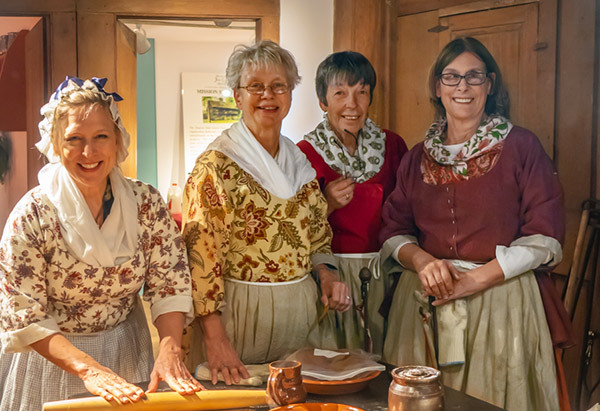 The many visitors found not only the warmth of cider and cocoa and the cheery hearths, but more important they found the warmth of community and the fellowship of an old-fashioned neighborhood gathering.